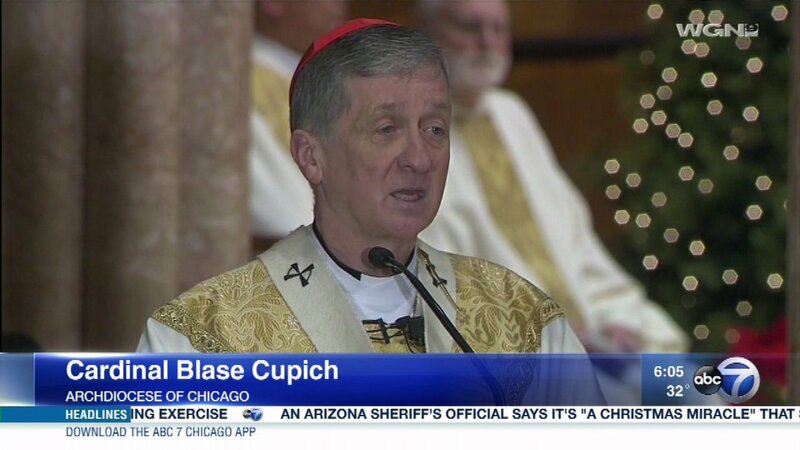 Cardinal Blase Cupich celebrating Christmas Mass at Holy Name Cathedral. CHICAGO (WLS) -- The Archdiocese of Chicago formally announced Monday that firearms are banned on all archdiocese property. In a statement, the archdiocese said they have "...had ta best practice on the presence of firearms for some time and most of our facilities display signage indicating that firearms are prohibited on their premises. Given the times, we thought it would be prudent to issue a policy on firearms as a 'particular law' so there would be absolute clarity on our position." Priest and anti-violence community activist Father Michael Pfleger praised the decision, tweeting, "Archdiocese Bans Guns on ALL of its Properties...Thank you Cardinal Cupich." Fr. Pfleger told ABC7 Eyewitness News he'd been hoping the archdiocese would announce this policy "for some time."